In order to set up a personal account, you will be asked to enter basic personal identifying information. 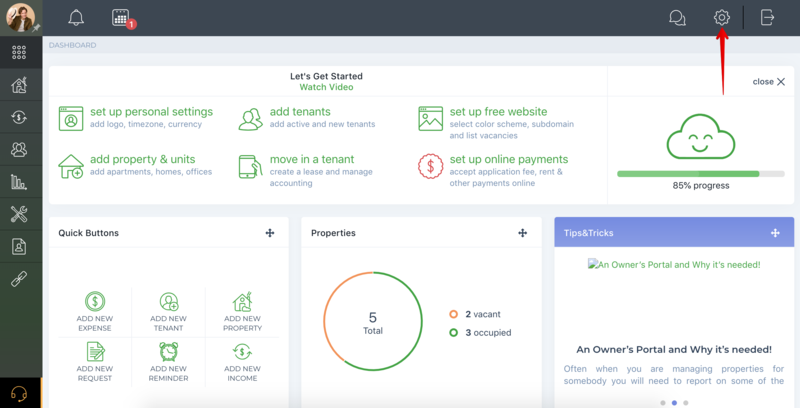 Once set up, your account will have the ability to fulfill payment requests and receive money from personal and business accounts registered within TenantCloud. There are no limits on the number of transactions you can perform each day, week, or month. 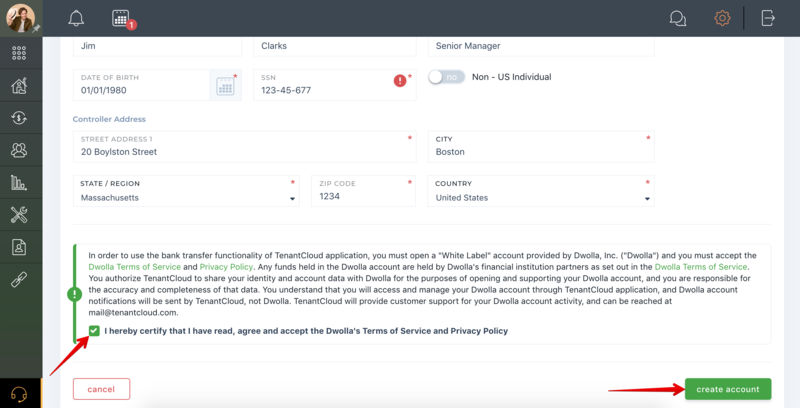 This might be helpful: How to set up a personal account? 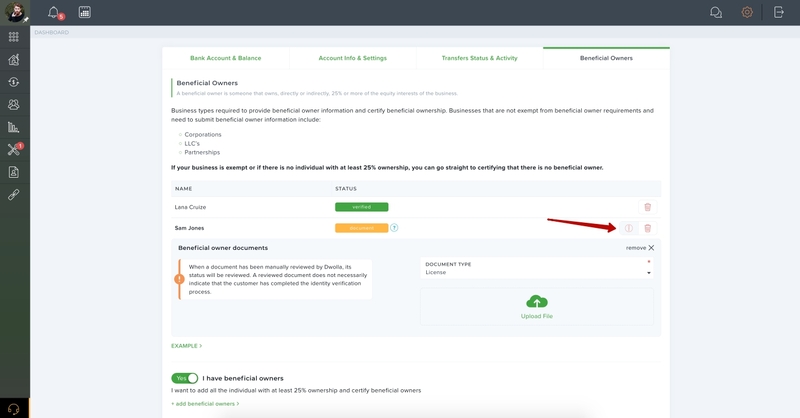 You'll then come to a registration page that requires basic information regarding the organization itself and personal information for the business/organization representative signing up. 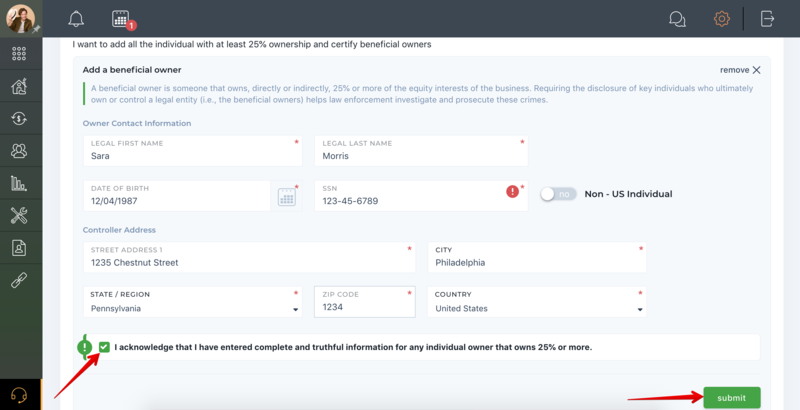 In order to set up a business account, you will be asked to enter business identifying information and to provide data about the business’s control, including all owners who, directly or indirectly, own 25% or more of the equity interests of the company. 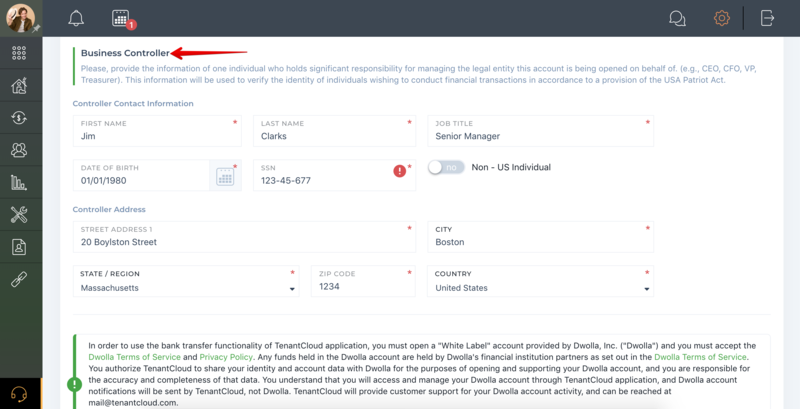 Once set up, your account will be able to fulfill payment requests and receive money from personal and business accounts registered within TenantCloud. There are no limits on the number of transactions you can perform each day, week, or month. 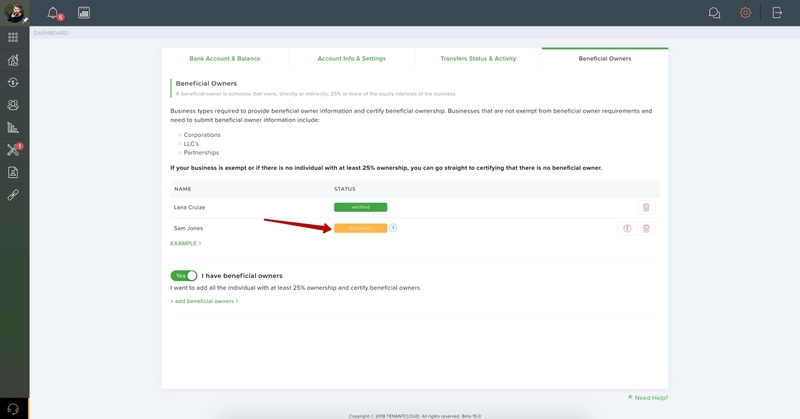 A business account will need an account admin to enroll the company during the onboarding process. This account admin is not identity verified. To become fully verified, a controller and/or a beneficial owner may need to be identity verified. A controller is any natural individual who holds significant responsibilities to control, manage, or direct a company or other corporate entity (e.g., CEO, CFO, general partner, president, etc). A company may have more than one controller, but only one controller’s information must be collected. 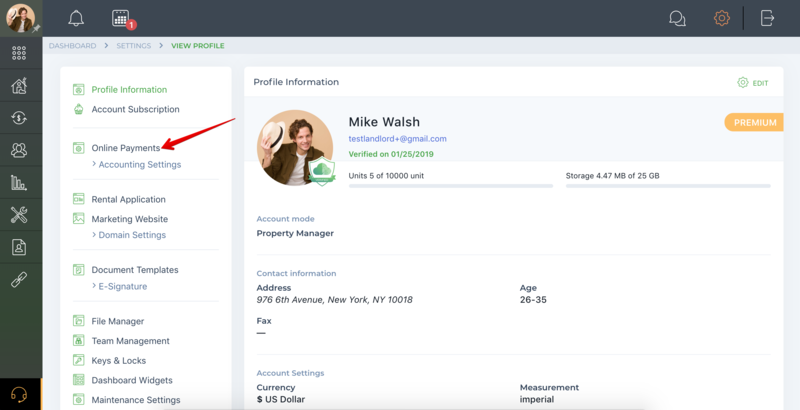 The controller will need to provide information to be fully identity verified. This includes their last four SSN and date of birth for identity verification purposes. For certain business types, a business’s EIN will also need to be provided as part of the process. 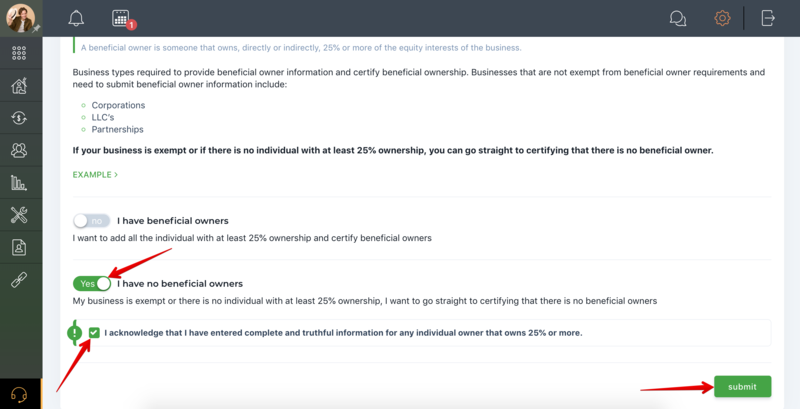 Business types exempt from providing beneficial owner information (but who must certify beneficial ownership). 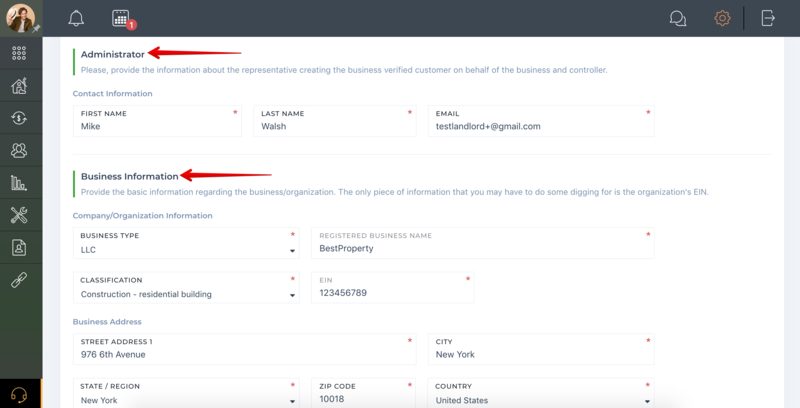 Business-verified customer accounts created prior to May 11th, 2018. These customers are grandfathered into the updated customer due diligence rules. If your business is exempt, or if there is no individual with at least 25% ownership, you can go straight to certifying that there is no beneficial owner. After a beneficial owner has been created, the beneficial owner’s identity needs to go through a verification process. 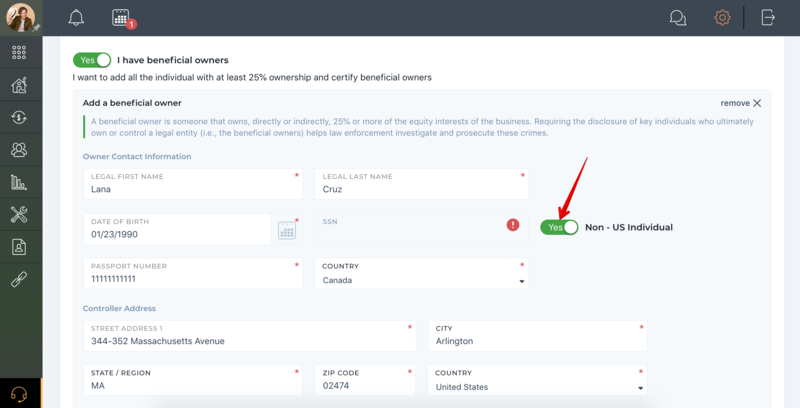 A beneficial owner that has a status of “incomplete” or “document” will impact the business's eligibility to send or receive funds. Beneficial owner has been identity- verified. 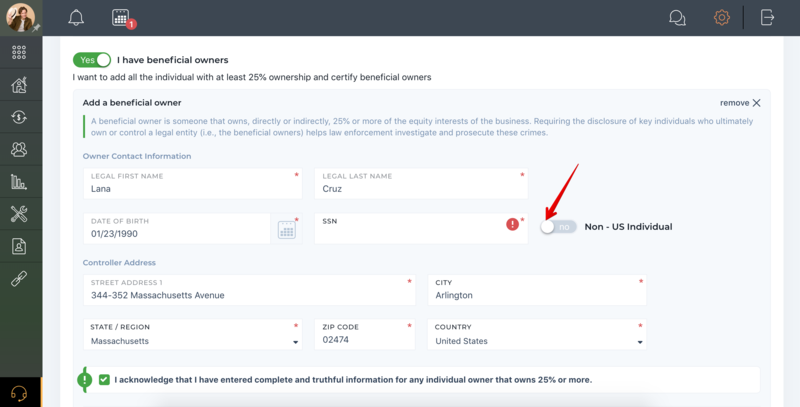 If a beneficial owner is not verified, the only other state the beneficial owner can be in is “document.” If the beneficial owner has a status of “document,” they will need to upload additional pieces of information in order to verify their identity. A scanned photo of the beneficial owner’s identifying document could be either a license (state-issued driver’s license), or ID card (U.S. government-issued photo ID card). The file must be either a .jpg, .jpeg, .png, .tif, or .pdf. Files must be no larger than 10 MB in size. A scanned photo of the beneficial owner’s identifying document could be a Passport. The file must be either a .jpg, .jpeg, .png, .tif, or .pdf. Files must be no larger than 10 MB in size. If an individual beneficial owner wants to update their information, that individual beneficial owner will first need to be removed. After removal of a beneficial owner, they can be re-added and go through the verification process once again. 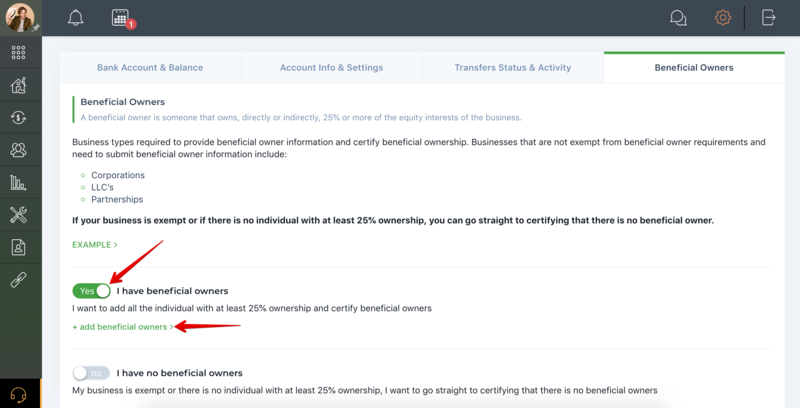 You can also remove a beneficial owner if they no longer own 25% or more of the business. 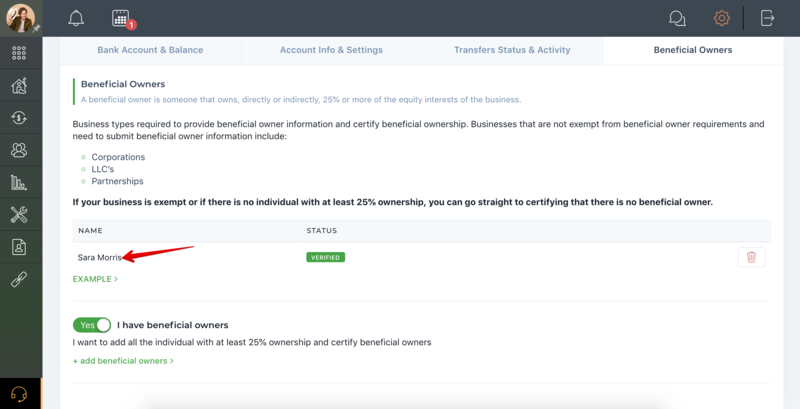 The successful creation and verification of a beneficial owner doesn’t necessarily mean a business verified customer is verified and ready to send or receive funds. The final step in creating a business verified customer is to certify that all information provided is correct. Read on to view the procedures on how to certify your owners. 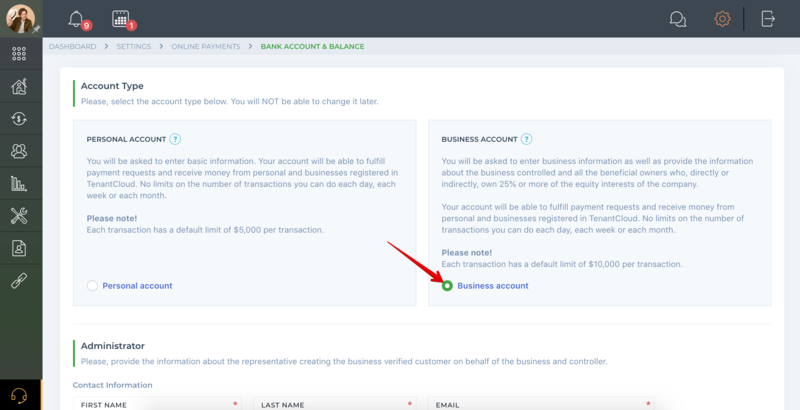 After successfully creating your business account, you will need to add and verify a bank account. 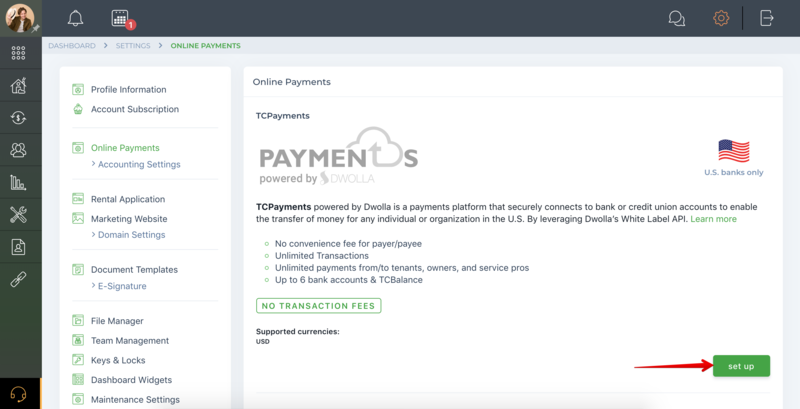 After completing this step, your TCPayments powered by Dwolla account will be able to fulfill payment requests and receive money from personal and business accounts. How to upload a verification document? 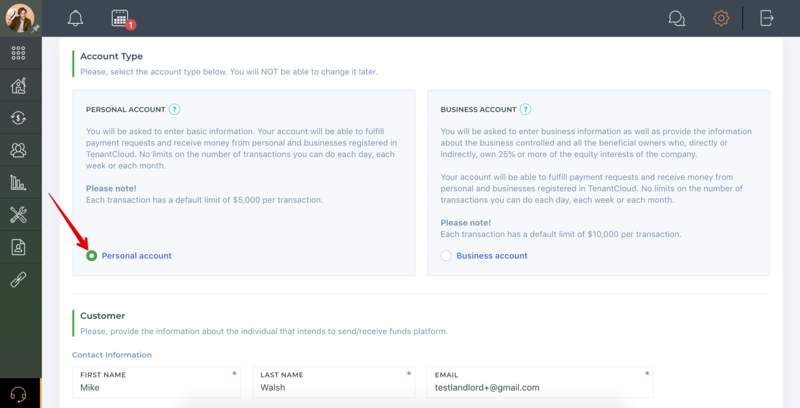 How do I add money to TCBalance?